Thanks to its unique construction process, A Sunbrella® car cover provides protection and years of service in intense sun climates like Arizona and other areas of the Sunbelt, where UV rays can rapidly degrade the paint and interior. Because of the use of acrylic fibers, which are naturally UV resistant, Sunbrella has long been the recognized leader in longwearing marine fabrics. 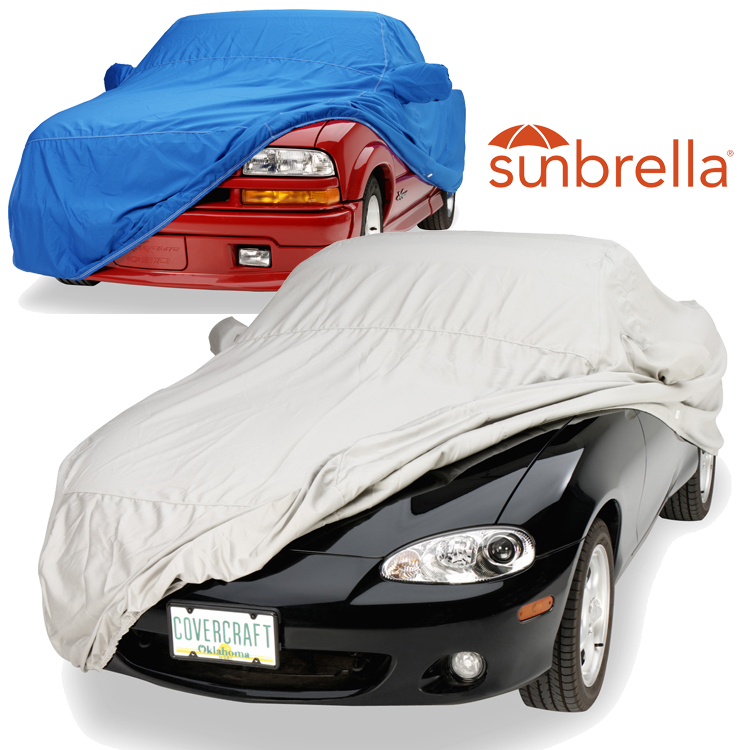 Now you can have the same marine-grade protection for your vehicle with a Sunbrella cover. Eco Conservation Friendly - We protect your vehicle and your selection of this fabric helps to protect our environment! Sunbrella® (for "high performance") is manufactured with solution-dye fibers which makes fabrics more fade resistant and is currently one of the most ecologically responsible ways to produce fabric. Solution-dye isn’t really a dye process, the color pigments are mixed into the compound that is extruded as thread. This puts the color all the way through each fiber (fade resistant) and saves 1,000 gallons of water for every 1,000 yards of fabric produced since we don’t have to surface dye the fabric!